The Asian Football Confederation has announced the second shortlist of contenders for the 2011 AFC Player of the Year award. Japanese striker Shinji Kagawa, Iran’s Andranik Teymourian and Bahrain forward Ismaeel Abdullatif have found a place in the top ten. Japan, Iran and Korea Republic now have two players each in the list while Bahrain, UAE, Saudi Arabia and Uzbekistan have a player each. Hadi Aghili (Iran), Ismail Matar (UAE), Keisuke Honda (Japan), Koo Ja-cheol (Korea Republic), Mohammed Noor (Saudi Arabia) and former winner Server Djeparov (Uzbekistan) have maintained their places in the list. 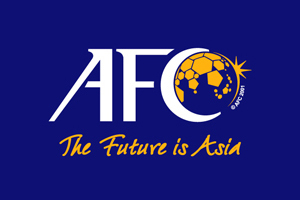 The AFC Player of the Year award will be presented at a grand ceremony on November 23, 2011, at the Mandarin Oriental, Kuala Lumpur .